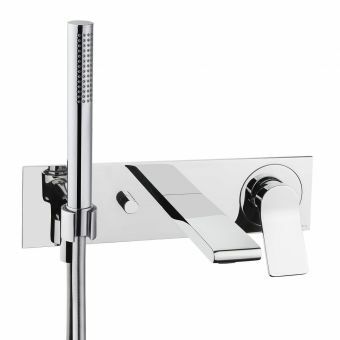 This sleek, stylish shower unit will look perfect in a minimalist ultra-modern wet room. 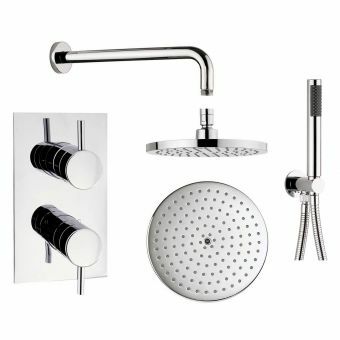 Conceived in the design studios of Axor, this three-part shower set comes neatly together to form an overall startling sculptural addition to any enclosure or walk-in wetroom space. 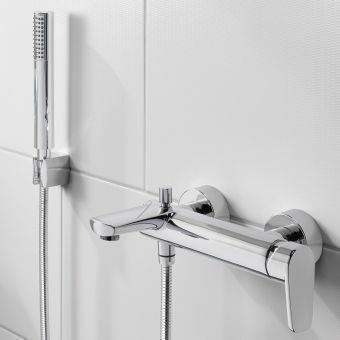 Featuring a slim 800mm wide valve, the controls for choosing the shower heads are discretely formed at the front edge of the valve and a simple gentle push on the buttons instantly changes the shower destination. 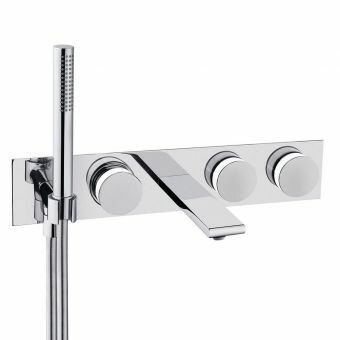 Sitting on top of the valve is a toughened glass shelf which is very handy for storing showering products, placing them easy at hand. 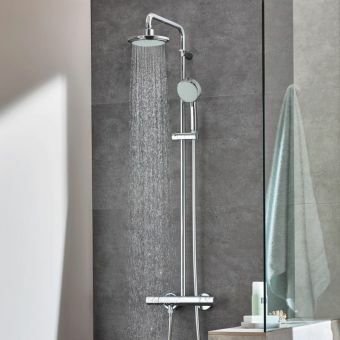 Attached to the tall rail is a sleek, thin shower drench head and at a huge 350mm in diameter, it delivers a superb cascade of water that envelopes and caresses. 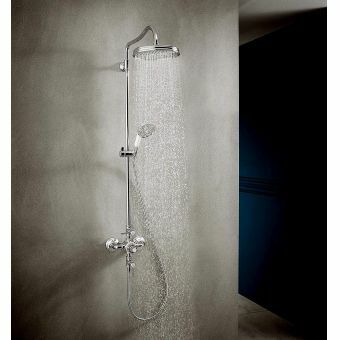 Pure showering indulgence! 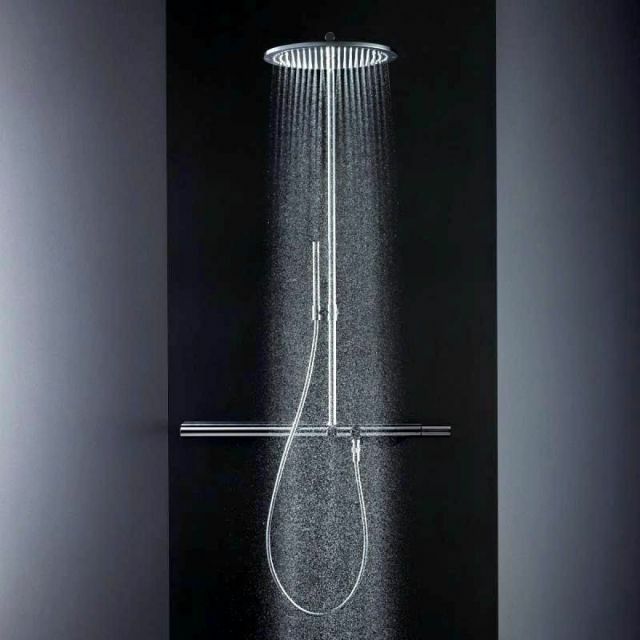 In addition to the main head is a 2 jet stick shower head which can be height adjusted to suit and provides a gentle soothing spray via a 1.6-metre kink resistant hose. 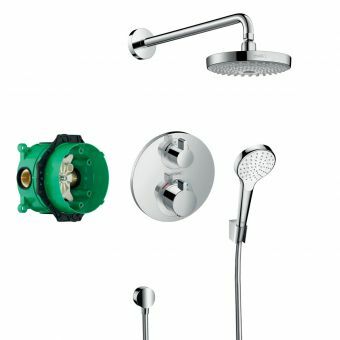 With all the exposed parts being coated with easy-clean super bright chrome this set will certainly attract attention and is designed to last for years to come without trouble.